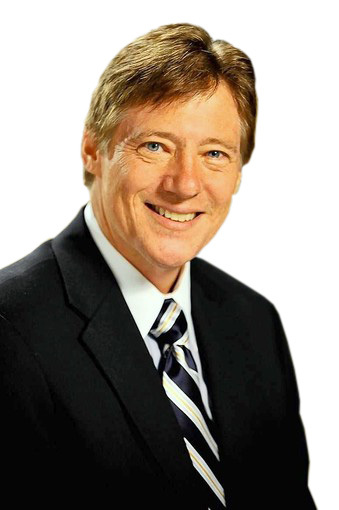 There is a war being waged against a major symbol of Christianity – the cross. 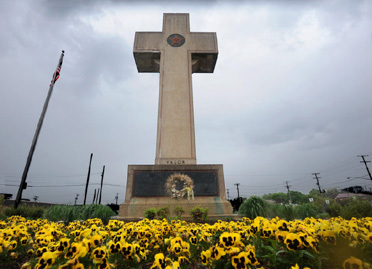 In 1925, a large cross was erected in Bladensburg, Maryland to honor fallen soldiers of World War I. But now that cross is being challenged by a lawsuit from the American Humanist Association. They lost their 2014 lawsuit against it, but they are appealing the case. Last week, there was a bipartisan effort among members of Congress to save the Bladensburg cross. They filed a friend of the court brief to support this memorial. First Liberty Institute is instrumental in the fight to save the cross from being demolished. They have been leading the charge in fighting these kinds of cases. Their founder and president is Kelly Shackelford, who said, "In a time when America is divided over many issues, there is one thing members of the House and Senate, both Democratic and Republican, have agreed on, along with 90% of the American public – our veterans memorials should be protected. We must always strive to honor the selfless sacrifice of our fallen heroes." Jeremy Dys is an attorney with First Liberty, and I spoke with him about the case on my radio show recently. Jeremy told me, "There seems to be a general allergy to religion any time any religious symbol appears in public." He noted this applies to Christian symbols in particular and stars of David. Dys said, "What we're attempting to do in all these cases is to allow these veterans who erect these monuments to honor their comrades who have fallen in arms." He noted, "In the case of the Bladensburg Veterans Memorial outside of Washington, DC, that was actually even erected by the mothers of these fallen soldiers from World War I." Dys added, "When you have these moms who scraped together dimes and nickels in order to be able to erect this memorial, and you still have children and grandchildren and probably great-grandchildren now that gather around that memorial on Armistice Day, it's remarkable that someone would have the gall to try to knock down what one mother called 'the tombstone of her son that she could actually visit,' instead of the one that's listed in Flanders Field." The American Humanist Association sued to have this cross removed because they believe it violates the separation of church and state, because the cross supposedly establishes religion. The Constitution does not mention the "separation of church and state." Instead, the First Amendment begins, "Congress shall make no law respecting an establishment of religion or prohibiting the free exercise thereof..."
Historically, it was understood in America that "establishing religion" was the creation of a national church, such as the Church of England, which was "by law established." When we became a free country, this was no longer to be the case – that we would have a state church at the national level "by law established." At the time of the adoption of the Constitution and the First Amendment, even some of the individual states had state churches. That was not ideal, and they withered away of their own volition. But to say that having a memorial cross to honor the fallen "establishes religion" distorts the founders' words. These groups that sue against crosses in the public square attempt to jettison America from our true history. It was the founders of this nation that systematically hired chaplains for the military and legislatures. For the first two hundred years or so of our national existence, most of their prayers were Christian ones. The founders declared national days of thanksgiving to God. Jefferson did that on the state level, but refused to do that on the national level because he thought it was the province of the states. Our nation's first Commander-in-Chief was, of course, George Washington. I've visited his tomb at Mount Vernon and written in stone above his sarcophagus are the words of Jesus Christ from John 11 – promising that those who believe in Him will live, even after they die. Do those words need to be sandblasted away? Of course, ultimately the cross is controversial because it points to Jesus' voluntary sacrifice to forgive sinners who believe. Meanwhile, if we don't defend the memorial crosses now, we could go the way of China where it is reported that the Communist government is now undertaking a systematic removal of thousands of crosses in that country, including those atop churches. This war on the cross by anti-Christian legal groups reminds me of the movie portrayal of Count Dracula who flinches and becomes powerless at even the sight of a cross. I pray they will not succeed in their efforts to tear down these memorial crosses to honor the fallen.